This is the stage Union Bay was at in March 2016. Obviously, the previous board and Administrator were on target to meet the Island Health deadline. 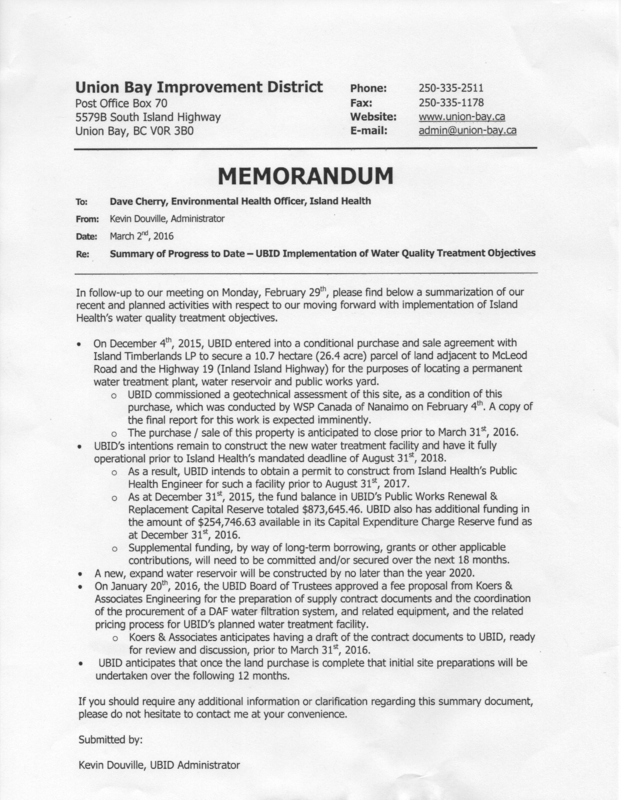 Jacques and Loxam along with David Godfrey and their petition demanding UBID give KIP an extension on the expired 2011 Water Infrastructure Agreement threw a wrench in the works. We have a KIP heavy board and an Administrator who has zero government experience with a chip on his shoulder. When can we expect the same professionalism displayed by the Improvement District Board and Administrator prior to the April 2016 election? What happened to all the promises by the pro KIP trustees? Claimed the previous board was taking the community in a direction they didn’t want to go. So where are we with the new direction promised by Jacques and Loxam with Bitten getting on board in Oct. 2016? Announced an agreement with KIP at the July 27, 2017 meeting even though McMahon hadn’t signed anything due to a family emergency. So what’s the hold up now – McMahon’s got a hundred more excuses. 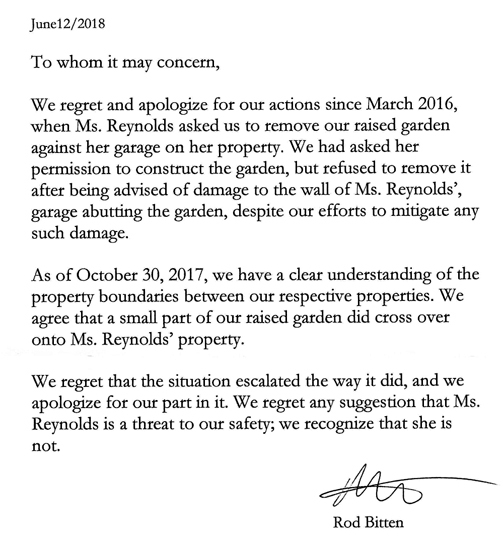 Previous Post Another Failure for Kensington Island Properties aka 34083 Yukon Inc.